Mogherini and foreign ministers from Asia and Europe toured refugee camps along Bangladesh’s border with Myanmar and heard harrowing testimony from displaced Rohingya there before their meeting Monday with Suu Kyi. Myanmar’s civilian leader has been facing mounting global outrage over an army crackdown that has driven an estimated 620,000 Rohingya Muslims from the mainly Buddhist country’s western state of Rakhine and into Bangladesh. Myanmar’s military insists it has only targeted Rohingya terrorists following deadly attacks on police posts in late August. Mogherini said the delegation’s two-day visit to Yangon and meeting with Suu Kyi offered a chance to talk. “That will be also an occasion to exchange views with Aung San Suu Kyi and the government of Myanmar (about) how to solve this crisis,” she told reporters in Bangladesh’s southeastern Cox’s Bazar border district adding, “Rather than putting pressure, our approach is always and will be to offer a negotiation space.” She said the Rohingya living in squalid camps in Bangladesh were “carrying with them terrible stories”. The EU diplomatic chief toured the refugee camps with the foreign ministers of Bangladesh, Japan, Sweden and Germany before the delegation’s visit to Myanmar for an Asia-Europe (ASEM) ministerial meeting there on Monday and Tuesday. Bangladesh and Myanmar have agreed in principle to begin repatriation of the Rohingya but are tussling over the details. Dhaka has stepped up efforts to pressure Myanmar diplomatically into taking back the Rohingya, hosting not just Mogherini and the foreign ministers but a US Congressional delegation and China’s top envoy since Saturday. Bangladesh, which already accommodated more than 200,000 Rohingya before the current exodus, is keen to enlist help from China, a staunch ally of Myanmar, in arranging for the refugees’ return. 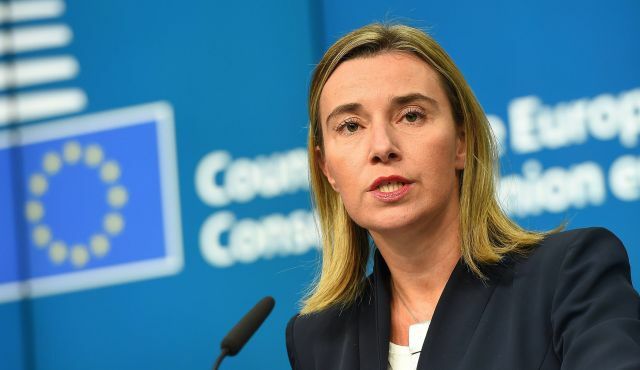 Mogherini said it was vital to support repatriation efforts. “The Bangladeshi government is negotiating with the government of Myanmar. We hope that we manage to help in finding a sustainable solution,” she added.